Works great, the only issue is the spray adjustment is very touchy, just a slight bump and it will change. 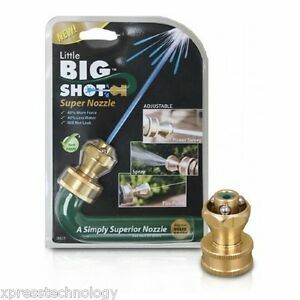 Ive used many different nozzles to clean my dog kennels its by far the best. This thing put out a surprising amount of water pressure. First time I used it to wash the car I got dirt and grime splashed back on me because I wasn't standing far enough away. Seems to be well made with quality material, should last a long time. Great product. I was able to power wash my windows and car tires. 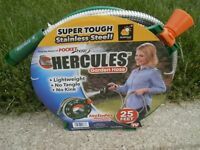 I will recommend it to anyone looking to reach height outside there house and also have a way to clean there car, grill or patio. I was surprised by how small it is, but it works brilliantly, using ball bearings to guide the twist motion. nice wide range of focus and pressure.